This little lady of mine has been out of my tummy for as long as she was in it! Happy 9 months my Princess! I just love her! She has taught me so much about the joys of Motherhood. She opened my eyes to so much more love for both her and Ben. She truly is a blessing. And a dang cute one at that! Honestly I am having random attacks of anxiety about leaving her. Im better with Ben just because he's older and isn't so dependant on me. But Aurora is still my baby and I know she will just miss us like crazy. Plus she's been playing stranger danger lately which is terrible timing! We are leaving Aurora with Rio and Kathleen (Maikal's oldest bro) and we are leaving Ben with Maikal's parents. As much as I want them to come, it just wouldn't be a very good vacation with the babes around. One person would always be stuck on the beach babysitting. Boo. So we will just prepare ourselves over the next 2 weeks and hopefully they will be just fine without us for a bit. - She can stand on her own! - I swear her hair will never grow. I will have a little bald girl forever. - Favourite part of the day is bath time! This kid is a little fish at the pool. Both my kids have that Island need for the water in their blood! She has the longest most beautiful eye lashes! 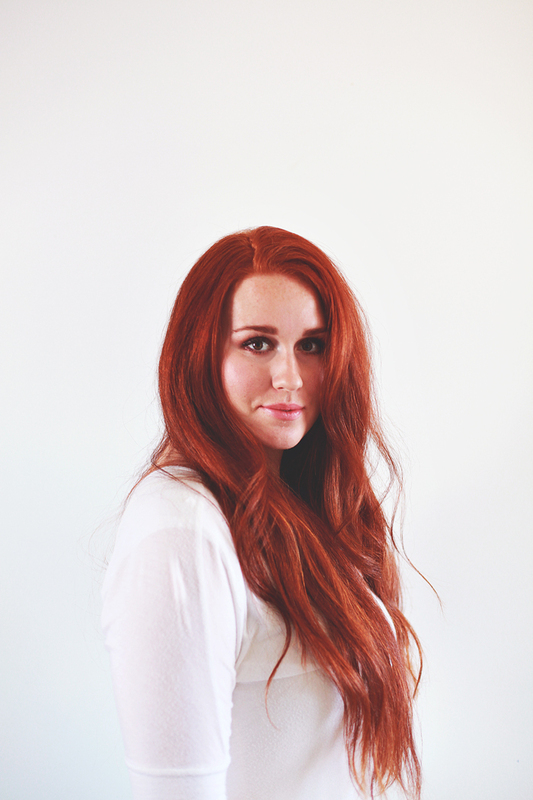 I know her hair looks really red in this picture, but it's just the photoshopping. Her hair will be brown. If you follow me on Instagram and/or Facebook you know that I recently did a 10 day cleanse! I did a program with the Purium Health Products. My Mom and Aunt both did this cleanse and they both were very successful with it! 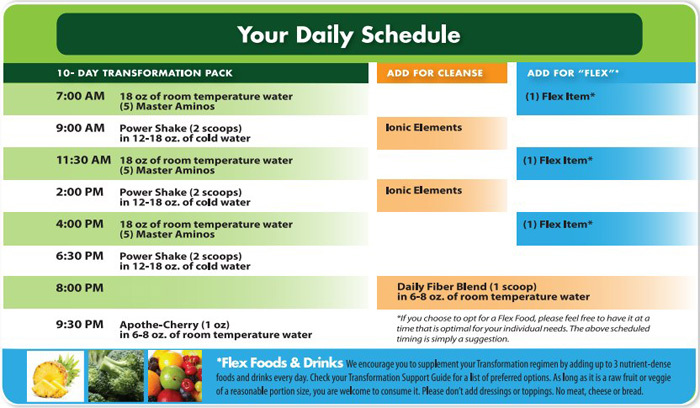 I did not do their standard cleanse, I did a modified version that my Mom created from the products they offer. 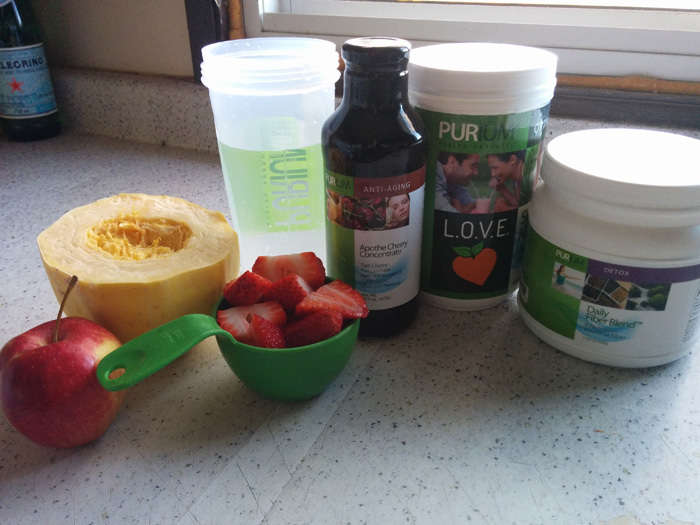 Instead of the 'Power Shake' I used the L.O.V.E Shake and I did not use the Ionic Elements or Amino Acids Pills. If you want to learn more about their products and cleanses you can go HERE. Going into this cleanse, I had to really prepare myself mentally. I have never done a cleanse before and I decided I would do a TEN DAY cleanse for my first one haha. Not really the smartest life choice. But it took a whole lot of will power during this. Because the Shakes are DISGUSTING. It tastes like pan cake mix, sand, flax seeds, saw dust and little splinters of grass mixed and poured into water. And it doesn't even dissolve all the way. So when you are drinking, you have to drink the 'sandy rough' nastiness too. Gag. I learned how to close off my nose and just guzzle each shake. That way I wouldn't taste it as I was drinking it. But I still had the taste in my mouth after I was finished. TIP: Use very very cold water with the shake. It makes a huge difference. Day1 :: My first experience with the shake. I almost ran to the bathroom to vomit! How could I do this for 10 days!! I hoped with all my heart that the shake would just get easier every time I drank it. I was pretty hungry this day. Im use to eating a heck of a lot more than what I was getting. Also, side not, you are not suppose to work out on this diet. You aren't taking in enough calories to do so. Walks and small exercises are fine though. I personally didn't do anything. Day2 :: Fairly similar to Day 1. A bit more hungry. Shake still sucked. Day3 :: Feeling week today. I just wanted to lay down all day and do nothing. I woke up unbelievably hungry that morning. Day4 :: Down 4 pounds! Still had low energy. I was really missing real food at this point. Just give me some meat!!! This cleanse is also Vegan FYI. Still not starving, but hungry. The best thing for me was just to keep myself busy so I wasn't just sitting there thinking about all the delicious food I could have been eating. Day5 :: Halfway point!! I couldn't believe I made it this far! 5 whole days!! But the end still seemed so far away. The hunger was starting to feel less and the routine of my eating started to feel normal and just a part of my normal day. Day6 :: Pissed. Today was National Pi Day. So what did we do?? Made my all time favourite dessert, Apple Crisp. And also Lemon Meringue Pie. And Ice cream. And Yes, yes I did have a single bite. At the end of the day, I felt really accomplished. Never in my life have I ever resisted a delicious dessert! At the end of the day I was down 7 pounds at this point! Seeing that number on the scale made everything so much easier. 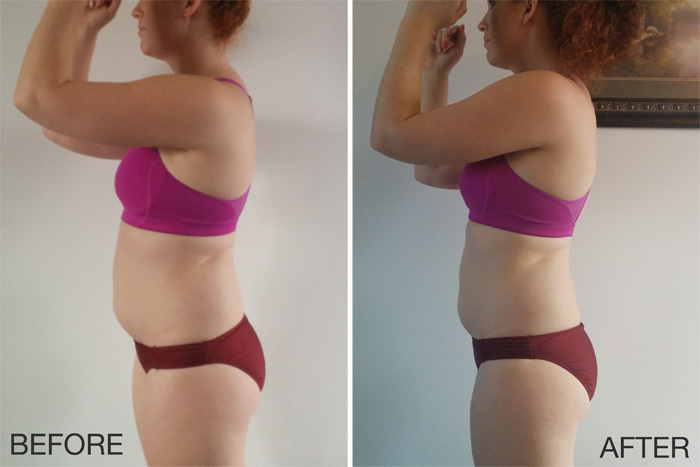 Progress is so much more satisfying than a bowl of dessert! Day7 :: As happy as I was to be down 7 pounds, I wasn't losing any inches. I was worried that this was all water weight and it would all be back within the matter of days after I was done even if I did eat healthy. So today was really rough and discouraging. At this point I was REALLY missing food. I think a 7 day cleanse would have been a piece of cake. But 10 just seemed so unachievable. But I made it this far, only 3 days left and no point in giving up now. Day8 :: Probably the worst day. Still no progress in losing any inches. Why was I not seeing and physical improvements!? I was so angry. It was also DQ's birthday. So free ice cream all over instagram. Why did I do my cleanse on TWO national dessert days! I also felt that this cleanse, wasn't really cleansing my body. I didn't feel clean or light. I wasn't passing things through my body that I should have. *TMI warning*:: I was only going #2 once a day, when I was suppose to be going around 3 times a day. So my Mom says anyways. So that was discouraging also. Day9 :: All the frustration was gone. I felt fine the last 2 days. I was almost done. The cleanse was just a part of my day and the hunger for food or more food was totally fine. My body had adjusted to the routine and the types and amount of food I was putting into it. Also, at this point, my cravings for chocolate and breads were very very low. If I JUST take that away from this cleanse, I would be happy. I NEEDED those things almost everyday. I truly believe I had a bad addiction to chocolate. And this cleanse released me from that addiction! It felt really good! Day10 :: Really easy. Just get through today and Im done! I finished my last shake and was through the roof excited! Never again will I have to consume that nastiness ever again!!! Ps. No, the shake DID NOT get easier. I wanted to vomit after every shake throughout the entire 10 days. On one occasion I would just not have it and starve. I would rather starve than drink it haha. I know this Cleanse is very difficult. I also know that it is very important to listen to your body. So please do not continue if you feel like something is wrong. The morning after my 10 days I weighed in and I had lost 10 pounds and 1 inch off my waist from this cleanse!!! I was so excited!! I did have those thoughts in the back of my head that this could all still be water weight, just because I didn't see any physical changes. In the end, I still didn't feel like this cleanse actually 'cleansed' my body. I just felt like I took a few meal replacements a day. It just felt like a diet for me, not a cleanse. I had very low energy through out the whole thing. Which I didn't like because I really wanted to workout without the feeling of passing out and I couldn't go for walks because the weather decided to be sucky. But all in all it was an interesting experience. I literally feel like I can do ANYTHING now. Any kind of diet or cleanse you throw at me I can do it. 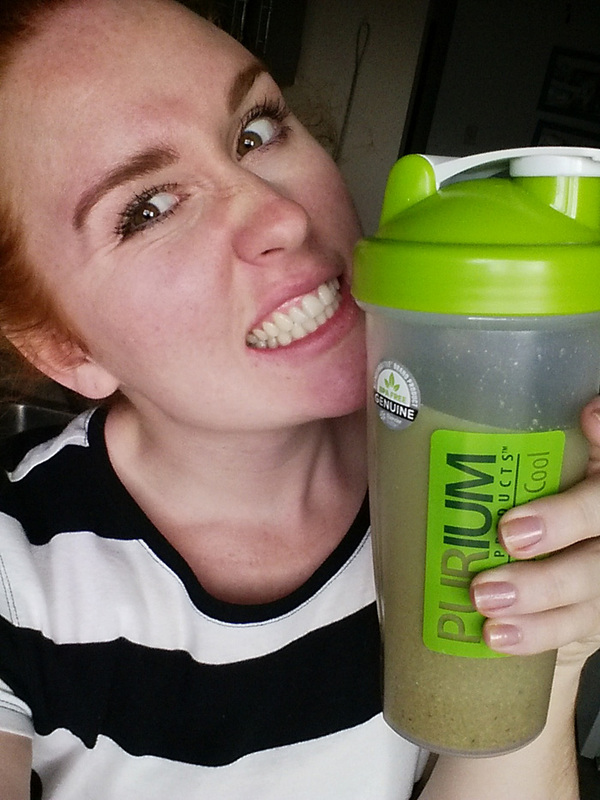 The Purium cleanse is so disgusting that I feel like nothing could be worse lol. I know that this is not a quick fix to weight loss, but for me, it is a great kick starter. Just what I needed! TIP :: Day 11 I had Eggs with spinach and salsa. Lunch I had Chicken Strips. A small bowl of cereal for a snack. Then ended the day with Curry Butter Chicken, which I could only eat half because I was so full from all the food I had that. Where as before, I would had downed that entire meal and probably had a dessert afterwords. DO NOT DO WHAT I DID! DO NOT introduce all these different kinds of foods to your system at once! Especially nothing as drastic as CURRY! My stomach HATED me that evening. My stomach and intestines were empty by the time I went to sleep. It was so horrible you guys. So for my tips, introduce new foods slowly to your system haha. You body isn't the same as it was before. Overall, Im happy I did it. Even if the weight is just water and it comes back on and I do get my craving for sweets again. I gave myself a really hard challenge and I accomplished it. I feel proud of myself for finishing it and not giving up. Thank you all so much for the kind words and support during this cleanse!! I hope this information helped some of you and if you have any questions let me know!! Happy St. Patty's Day....or if you're some kids....Happy Leprechaun Day!!! This holiday will always hold a special place in my heart because 1) Green is my all time favourite colour 2) My heritage is half Irish. If that wasn't already obvious with my hair haha. I have always wanted to be in Ireland for this day. Just to see how the real Irish people celebrate. I assume with a lot of Beer and Music lol. Visiting Ireland is on my Bucket List! Anyways. 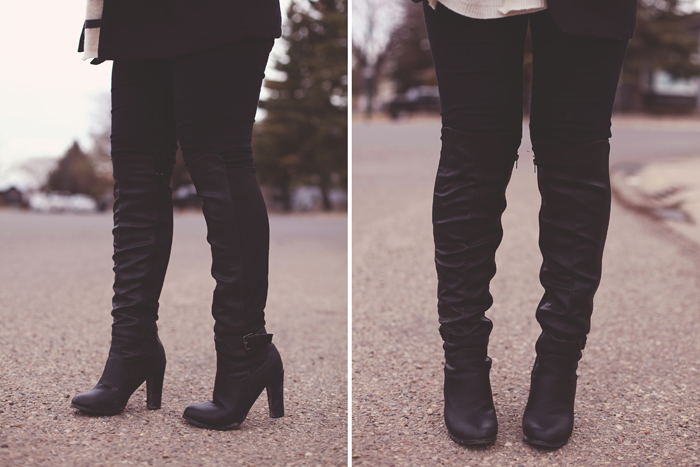 I thought for this OOTD post I would sport one of my favourite coats from my winter closet! It is my favourite shade of green, forest. And it is SO warm, but the material is so light! I also love the hood and button detail. And it's loooooong. I hate when coats are too short then they leave your lower back exposed to the cold! Or when you sit down outside in the cold, and your becomes frozen and numb from the seat. The worst. I think the reason I love this green so much is because It really compliments my hair colour. It just makes it POP! Coat :: Found this gem at a thrift shop. It doesn't have a brand name on it. Wish I thought was weird. It just says 'system'. 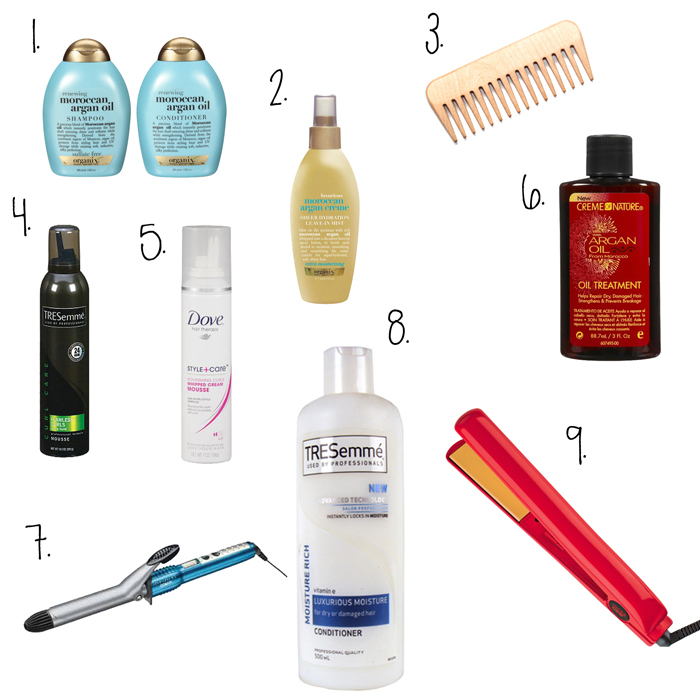 Today I decided it would be a great idea to share with you some of my current favourite hair products! 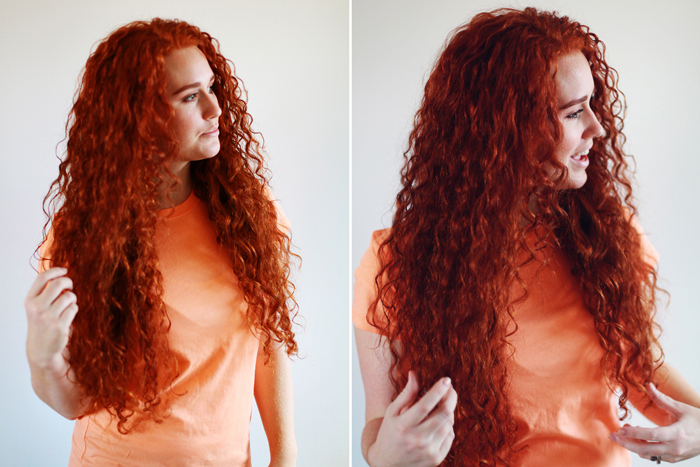 My hair is long, coarse, thick, curly, dry and fiery red. My hair needs intense hydration when it comes to products. And since my hair needs serious styling products in order for it to actually look nice, I need products that protect my hair as well. I love my hair, though I didn't always feel that way. I feel like it's my most attractive feature so I feel like I need to take care of it the best I can! Above I have a little collage of some of my go-to products as of right now. Im always looking for the next big thing when it comes to my hair that's in an affordable price range. You can find the majority of these products at Walmart! 1. OGX Argan Oil of Morocco Shampoo & Conditioner :: Ever since leaving Hawaii my hair has been in major need of hydration! I new that Argan Oil is a really great product for your hair. I saw this fancy schmancy Shampoo&Conditioner on the shelf and thought I would give it a try! This duo is simply amazing! It lasted me a whole 9 months!! (I got the bigger containers). I can feel the hydration soaking into my hair. Its so fantastic! 2. OGX Moroccan Argan Creme sheer hydration leave-in mist :: This product is BY FAR the most amazing thing I've ever bought. Ever. You spray this on your hair after you shower either on wet or dry hair. I personally prefer the wet hair. It smells ridiculously good! Like you just came out of a salon. My hair feels SO soft and smooth. My hair has changed dramatically by using this product! It also works as a heat protector when you use hair styling tools. I can tell a major difference in my hair when I don't use it. How have a gone this long without something like this??? 3. Wide Comb :: Any comb will do. I stole mine from my mom like....6 years ago. And the brand is all worn off so I cant remember the brand. Unless Im straightening my hair, I never use anything else on my hair other than a wide pick comb. It cause less frizzing and helps to keep my curls in tact. It's also great for less breakage, which I am a huge fan of of course. 4. Tresemme Flawless Curls Mousse :: I've tried COUNTLESS numbers of different mousse products. Tresemme has always been a favourite brand of mine. Their products always smell fantastic and they always get the job done! This mouse is really really good for a solid hold. Which, on many occasions I really need! 5. Dove Nourishing Curls Mousse :: I've been using this mousse for a few years now and I can't seem to find anything else at the drug store that is better! It gives me a very natural, but tamed and styled, look to my hair. Which for most days I prefer. My hair feels so soft and fluffy, but not frizzy. It gives me that lovely bounce and curl with that crusty texture that a lot of other mousses give. Love Love Love this mousse! 6. Creme of Nature Argon Oil :: Like I said before, Argon Oil is amazing for your hair. Especially types of hair like mine. It hydrates, smooths, de-frizzes, protects, rejuvenates, and of course makes it smell awesome! 7. 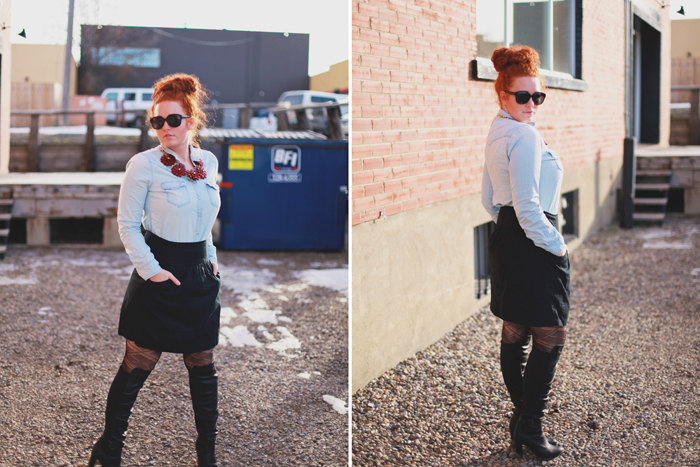 Conair Curling Iron :: This curling iron was a total shocker for me. 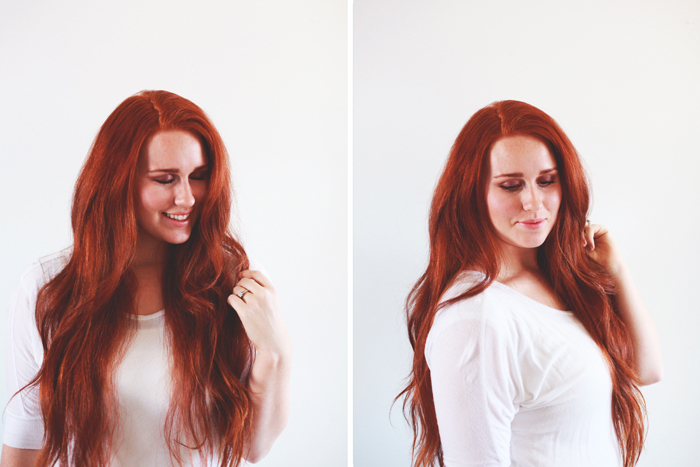 I never thought a cheap Walmart curling iron would be this good! It heats up to 400 and it does it quickly! My hair needs very high heat in order for it to hold. I use this curling iron on my curly hair when I see some strands that lost their curl or have stringed out. I also use this after I straighten my hair to give my hair those nice loose curls. I just wish this iron came in a bigger size! 8. Tresemme Luxurious Moisture Conditioner :: This product is so so amazing you guys!! In just one use my hair feels so smooth and hydrated! It's definitely one of my go-to's! 9. CHI Straightener :: Like I said I need high heat in order for my hair to hold. CHI products have been very good to me. Although I do wish my straightener model went a little higher in heat! But it still does an absolutely amazing job. With a good straightener you can get your hair done faster and it will be way easier to do. So I just have a few Tips & Tricks I like to use with my product on my hair. It's worked really really well on me and I hope this helps! 1) I only shampoo my hair about twice a week. The other times it's just conditioner. By washing your hair with shampoo too many times in a week, you are stripping your hair of it's natural oils. So less is more! 2) When in the shower :: while my conditioner is in ( I usually leave it in for 5-15 min, depending on whether or not Im shaving my legs that day ;) ), this is when I comb my hair. It is so much easier to comb through my hair when I have a bunch of conditioner in it. This is the ONLY time I comb my hair. I never ever comb it after my shower or when it's dry. I feel like it cause more frizz that way. 3) When I know Im not going anywhere that day or if I just don't care about my hairstyle, I will put only my Argon Oil and OGX Sheer Mist in my air, then put it in a top knot. I feel like these days are my hairs' healing days. No heat. No damage. I've noticed a huge difference in my hair since doing this. I ALWAYS use to mousse and blow dry my hair after EVERY shower. Not good. If you are someone who does need to do this very often in the week, I suggest buying a very good heat protectant spray. Tresemme has fantastic Heat Sprays! 4) When blow drying my hair, I always have my head to the side or upside down. I scrunch my hair as I blow dry. This give me extra volume and keeps my curls in tact. If you have any suggestions of products or tips that you think I should try I would love to hear them! I'm always on the search! And that's all I have for now!! I hope everyone has a fun and eventful weekend! When I look outside, I still can't believe that we are in our "winter' season still. Seriously. The snow hasn't even stayed long enough for me to take my kids sledding again! It's here one day then gone the next. And I am definitely not complaining! It's just so shocking still. Weirdest winter ever am I right?? Originally I bought this scarf for Maikal. He's into man scarves these days. But I put it on and immediately felt so cozy and warm. So we now have joint custody over the scarf haha. 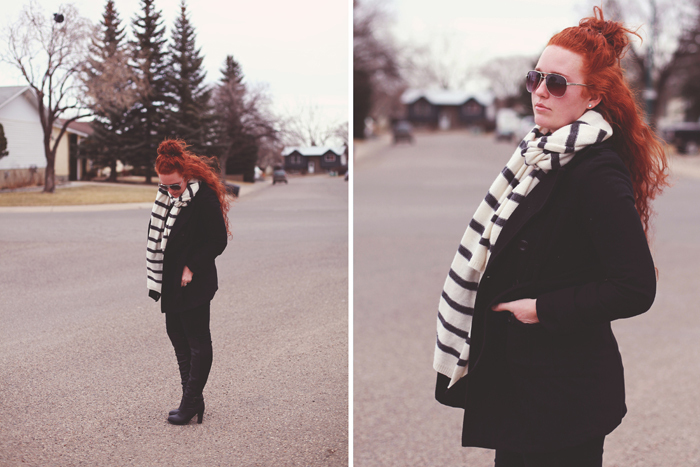 And scarves are such a great accessory for the cold months. 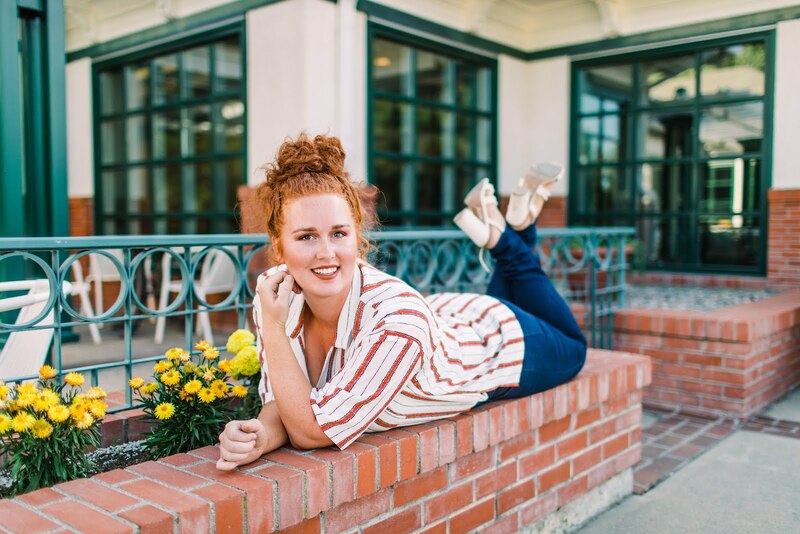 You literally have thousands of styles and prints to choose from. Plus they keep you so dang warm!! Spring is on the horizon, and you know what that means!?? All winter and fall stuff are on major sales!!! I love going in to the stores and seeing all these amazing colder weather items and buying them for a serious deal. I actually try and buy all my summer stuff in the winter months and winter stuff in the hot months so that they are always on sale haha. Anyone else do that?? Also, I know I announced it on Instagram, but in case you missed it.....We are vacationing to Hawaii in April!! Ahhhhhh! I. AM. SO. EXCITED. I bought a whole wack of bathing suits online and Im trying to get my body and bathing suit shape. But I only have 4 weeks left so we'll see how I do haha.